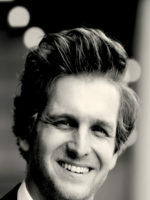 Paul Linden-Retek received his Ph.D. in Political Science from Yale University in 2018 with departmental and university distinction and holds previous degrees from Harvard University (A.B. in Social Studies) and Yale Law School (J.D.). Paul’s research and teaching interests are in contemporary political and legal theory, in particular the political philosophy of European integration, global constitutionalism, and law and the humanities. His dissertation develops a theory of post-national constitutional law, sovereignty, and solidarity that draws on conceptions of identity and time from across Anglo-American legal theory, Continental political and ethical thought, and European jurisprudence. At Yale College, Paul has taught on the politics and theory of human rights, law and globalization, public international law, and the moral foundations of politics. He sits on the Advisory Committee of Yale’s Multidisciplinary Academic Program in Human Rights Studies. Paul has served previously as a legal adviser in the Human Rights Section, Office of the Government of the Czech Republic; the Legal Unit, International Civilian Office/EU Special Representative, Kosovo; and the EU Department, Ministry of the Environment of the Czech Republic. His academic work has been published in Global Constitutionalism, the Croatian Yearbook of European Law and Policy, and the Yale Journal of International Law, and his public writing has appeared in the Boston Review, openDemocracy, and Social Europe. Paul is currently at work on his first book, entitled, The time of law: Europe’s crisis and the future of post-national constitutionalism. Narrative constitutionalism: A ‘commitmentarian’ vision of constitutional pluralism in EU law. The extension of constitutional law beyond the nation-state challenges foundational concepts of legitimacy, popular sovereignty, and civic belonging. Post-national law requires—more than a set of legal rules applicable across borders—a novel mode of democratic self-authorship, a modulation of the modernist basis for public authority. The enduring crises of the European Union—my central subject of analysis—demonstrate the pressing need for such innovations. But present theories of constitutional pluralism have yet to adequately address these underlying demands for a self-decentered political community. The aim of this research is to reimagine the character of post-national law by turning to law’s diachronic temporality, by amplifying the importance of law’s internal narrative form. Unlike most accounts of constitutional pluralism, the view I sketch here privileges the formal characteristics by which law exists over time; and finds in this movement a mode of legal reasoning with creative possibilities for post-national constitutional politics. The project first inquires into the principles of constitutional politics and constitutional adjudication that accompany this diachronic vision of pluralism. Grounded in prominent American constitutional theories from the work of Robert Cover, Jed Rubenfeld, and Philip Bobbitt, ‘narrative constitutionalism’ attends systematically to the historical development of both legal doctrine and the surrounding socio-political narratives that gives this doctrine its meaning. By taking constitutional provisions as ‘commitments’ made and re-interpreted in time, the project introduces such historical reasoning directly into its mode of argumentation and judgment. Second, the project asks whether such a modality of adjudication can be translated into discrete doctrine. It looks to European citizenship law, immigration and asylum law, labor law, and fundamental rights jurisprudence for key cases that illuminate the stakes of a more (or less) time-sensitive mode of argument. In so doing, it aims to revive new criteria and doctrinal guidelines for judicial dialogues both horizontally and vertically.